CNN: Former Manson family member Susan Atkins has requested a “compassionate release” from prison because she has less than six months to live, a California prisons spokeswoman said Friday. Atkins, 60, was convicted in the 1969 slayings of actress Sharon Tate and four others. She had been incarcerated at the California Institution for Women in Frontera, California. Show her the same level of compassion she showed her victims. By beign an active participant in the stealing of another human beings right to, “Life, Liberty and the Pusuit of Happiness” she willing gave up all claim to compassion. She is an animal. She has had 30 or so years to learn the error of her ways. That does not make what she did any less heinous. 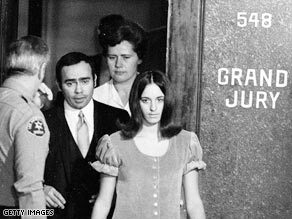 Susan Atkins I hope you have the most painful dying process that god gives you….. And rot in Hell where you are headed….. Rest IN Piece Sharon and everyone else lives that ended because of Atkins.